Pregnancy is stressful for a woman’s body, and it is accompanied by physiological and mental changes. During this time, a chronic disease or pathology that had been passive can turn into the aggravation phase. Let’s talk about how to relieve a psoriasis attack in pregnant women. What is the risk of psoriasis in pregnant women? Psoriasis belongs to the group of autoimmune diseases. This condition is often accompanied by other chronic illnesses, such as diabetes mellitus which can make the process of gestation more complicated. Pathogenesis involves the increased production of immune system cells and anti-inflammatory cytokines. This increase becomes the reason for pathological disruption of placenta function and structure, and hurts the blood supply. However, the disease does not affect the childbearing function and conception of the child. Complete remission of the disease. In this case, all symptoms disappear, and the condition of the woman is noticeably improved. Relapse of the disease. Here, the symptoms have an aggressive form and can affect the health of the mother and fetus. What other complications are possible? Psoriasis in pregnant women can cause many complications, both general and local. transmission of the disease to the fetus, which occurs in 50% of cases if both parents suffer from psoriasis. Local complications are manifested in the form of rashes. Herpetiformis impetigo is a severe and rare form of psoriasis that can cause very aggressive symptoms. It usually occurs during the third trimester of pregnancy, or during the postpartum period. Besides itching and cosmetic discomfort, psoriasis can be accompanied by standard clinical manifestations like nausea, vomiting, general weakness, pain in the knee joints, fever, and psychosomatic disorders. Don’t delay visiting the doctor. After examination, tests, and diagnostic procedures, the specialist will prescribe a therapy for an acute period according to the current condition of the pregnant patient. 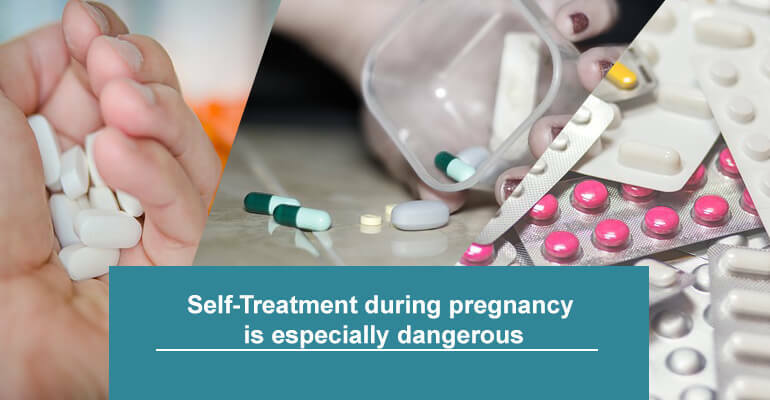 Most drugs used for the treatment of psoriasis are not allowed for pregnant women. Some of them have a teratogenic effect and can cause premature birth or an anomaly of fetal development. Drugs that reduce body temperature due to fever. Sedative medications in case of neuroses. Drugs that improve the functioning of the gastrointestinal tract. The pharmacological effect of the prescribed drugs should not be contraindicated in pregnancy and lactation. The best option is a group of medicines with natural ingredients. The doctor will consider all these factors when choosing the right treatment for psoriasis in pregnant patients. Local treatment involves the use of medications to reduce symptoms like itching and pain. Ointments and creams containing corticosteroids can be prescribed by a specialist only after the first trimester of pregnancy when the risk of a teratogenic effect of the drug decreases. UVB lamps are safe to use during pregnancy, especially if the patient has large areas of lesions, unlike PUVB-therapy, which is dangerous to the fetus due to the need to take photosensitizing drugs. It is important not to overheat the damaged areas during the first 28 days of pregnancy because of the risk of a neural tube defect in the fetus. Home remedies can also help to reduce the symptoms. However, you should remember that some herbs can have a dangerous effect on the pregnancy and cause a miscarriage. Consult a specialist before using any of them. 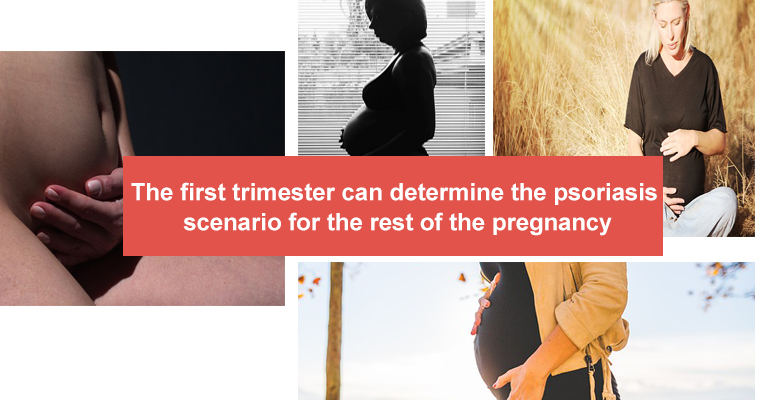 Planning the pregnancy can help to prevent the possible development of severe psoriasis outbreaks. A balanced diet will reduce the risk of relapse. Psychotherapy like yoga or walking in the fresh air will help to handle stress and depression. Timely registration with local OB GYN will help to prevent complications. Contact a specialist with the first signs of disease. Don’t practice self-treatment.